Looking for a creative way to practice your English? 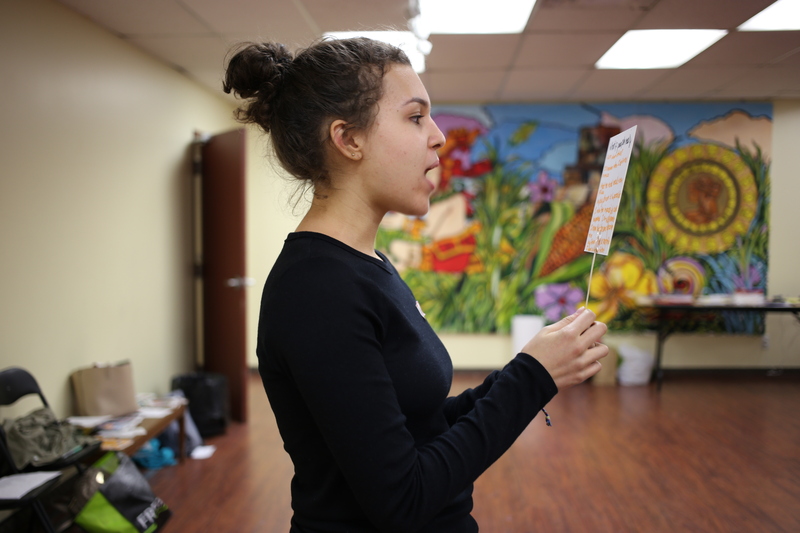 Second Act is a series of FREE theatre-focused workshops for youth ages 14 to 25, to feel more comfortable and confident in their speaking abilities. Second Act is led in English and is ideal for those with basic to intermediate English communication skills. TTC fare and snacks provided. Financial assistance for childcare available must provide 2 weeks notice. Learning a new language is hard, and sometimes the hardest part is learning the skills that we spent the least amount of time practicing. Speaking and interacting with others in a new language demands a lot of practice, courage, and confidence. Let’s get started with play and games to get to know each other and start working on our English and confidence. This program will be focused on curating a creative and encouraging environment to teach youth the requisite skills to speak or perform publicly for an audience. Participants will be given tangible examples of how to improve their speaking ability, including tips on how to project, how to stand and move on stage as well as the thought that goes into creating a compelling story for an audience to follow and enjoy. This workshop will guide participants through the basics of Improvisation focusing on our social communications skills. We all use basic improv skills every day, solving problems, discovering information, communicating our needs and desires. In this workshop we’ll be exploring how we do this in Canadian English using real time improv games and taking time to share our discoveries with each other as we play. You do not need drama or improvisation experience to join us – just a willingness to learn and explore your new social language with an open heart and mind. Wear comfortable clothing as we will be moving a bit. This workshop is for youth that have english as their second language and are trying to improve their interpersonal and public speaking skills. We’ll focus on some physical comedy games that get your body moving and your creative juices flowing. We will do exercises that aim to get you feeling confident and into a state of play. Theatrical language goes beyond the spoken word. Our bodies create images, stories, and relationships without the use of words. In this workshop we will work on a number of simple physical exercises to compose stories in space and we will introduce the group to the concept of collective creation. Open to all. No experience necessary. During this workshop we will work together to explore a variety of storytelling skills: from movement to sound making, and “frozen pictures” to narration. Have fun, build your confidence, and try something new! No experience necessary, but always welcome! The purpose of this workshop is to overcome the fear of public speaking through Improvisation and Stand Up Comedy. We will use humor as the primary tool in order to become persuasive speakers, improve stage presence, and develop self-confidence. The workshop will also show attendees how to embrace their accent and roots through the ‘mistakes are opportunities’ mentality. Explore your inner ego at this workshop designed to celebrate that lesser known side of you. Brave, insecure, funny, loud, quite, shy – all types are welcome here! You’ll use basic acting techniques, character development and improvisation to create an alter ego that’s all you.